March 1801. Settlement of Thomas Person's estate. Person Family Papers (#590), Southern Historical Collection, Wilson Library, University of North Carolina at Chapel Hill. “March 1801. 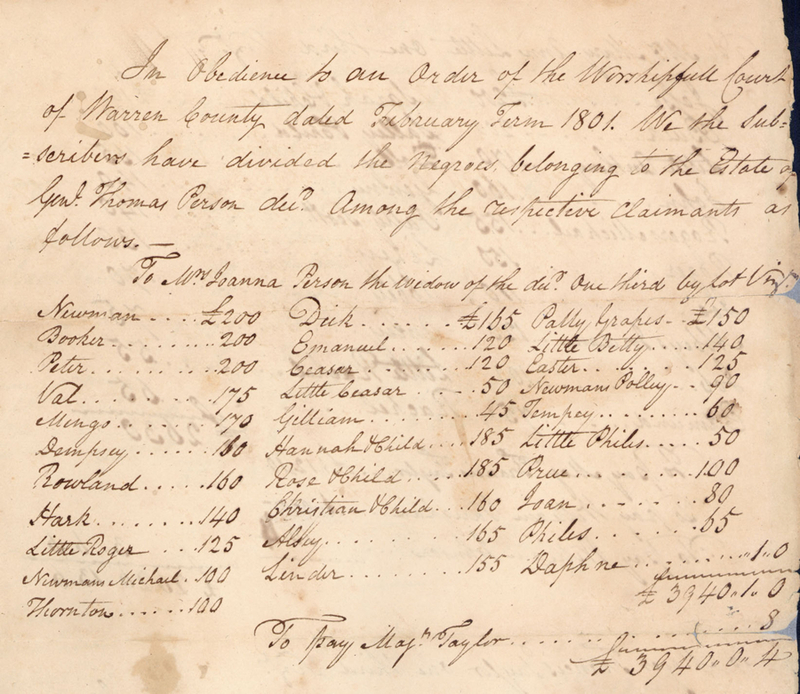 Settlement of Thomas Person's estate.,” UNC Libraries, accessed April 25, 2019, https://exhibits.lib.unc.edu/items/show/3378.